Please download any articles you may wish to share with your membership in your Newsletters giving credit to the author, their organization and this GMO Outreach Program. We request that you complete the Courtesy Form so we may know who is utilizing which articles and notify organizations and authors of the use of their article. If you have any articles you wish to offer to other organizations nationally please send them to webmaster@firstcoastclassicaldressage.com. The articles will be placed here for downloading. Riding and Much More! Clinic Review of USDF Instructors / Trainers Program #2 - Riding. By: Regina Sacha-Ujeuo of Northern Ohio Dressage Association. Published in NODA News Newsletter. By: Lisa Beardsley of the First Coast Classical Dressage Society and the Northeast Florida Dressage Association; Published in NFDA e-Newsletter. By: Lisa Beardsley of the First Coast Classical Dressage Society and the Northeast Florida Dressage Association. Published in NFDA e-Newsletter. By: Stacy R. Palowsky of Southern Eventing and Dressage Association. Published in SEDA Newsletter: Off Course. By: Kelly Beaver of the French Creek Equestrian Association. Published in FCEA Newsletter: In Balance. By: Diane Skvarla of the Potomac Valley Dressage Association. Published in PVDA Newsletter. 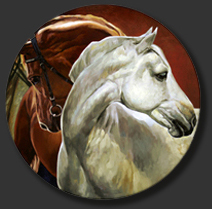 By: Lisa Beardsley of the First Coast Classical Dressage Society and the Northeast Florida Dressage Association. Published in FCCDS Newsletter: Dressage Deciphered.